Splash guard allows for splash free cleaning. 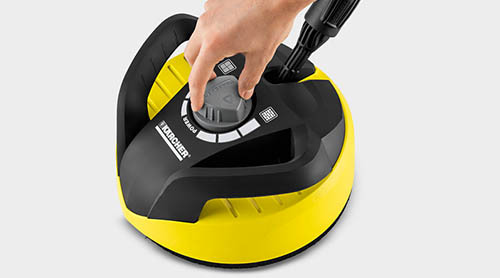 Pressure is adjustable for different cleaning tasks. With the Kärcher T350 patio cleaner, large outdoor surfaces can be cleaned quickly and efficiently. 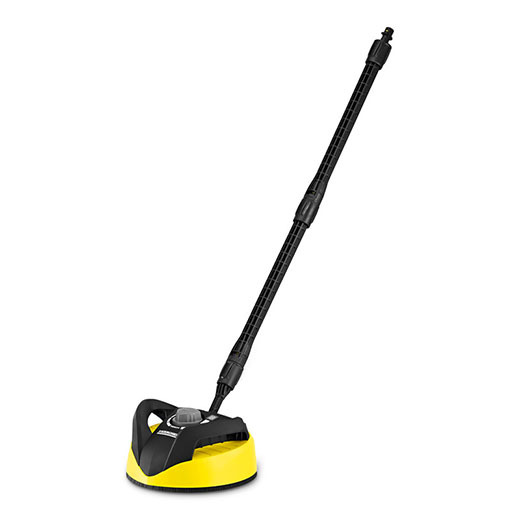 The twin-jet rotation arm ensures dirt removal on large surfaces, when compared to cleaning with a spray lance, cleaning time is reduced by about half. The T350 hood reliably protects the spray jets and the surroundings against spray water. Thanks to the so-called hovercraft effect, the T350 patio cleaner is particularly easy to manoeuvre. The Kärcher T350 patio cleaner features continuous pressure adjustment, this means that hard surfaces such as stone and concrete as well as more sensitive surfaces such as wood can be cleaned according to requirements. 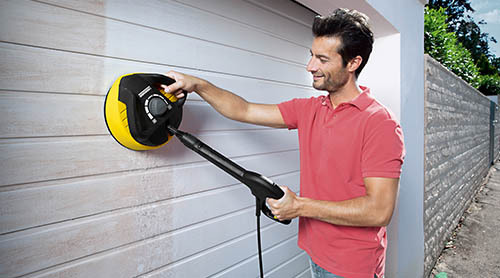 An ergonomic handle ensures that vertical surfaces such as garage doors can be optimally cleaned. 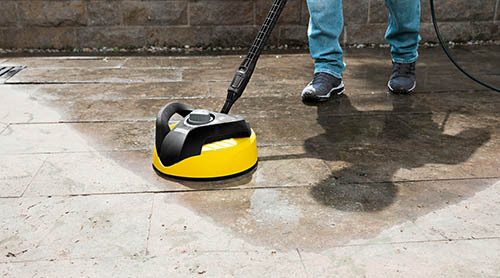 The T350 is suitable for all Kärcher Home & Garden pressure washers, classes K 2 – K 7.